“We have just applied for funding from the federal government to make the project ‘shovel ready,” said Scott Northey, the NRC’s director and CEO, who spoke at last week’s Nunavut Mining Symposium in Iqaluit. To do that, they’ll need about $22-million to add to the roughly $7 million that Nunavut Tunngavik Inc. has committed to the project. The $550-million Grays Bay project would involve the construction of a 227-kilometre all-weather road running from the site of the defunct Jericho mine, which is located at the northern end of the Tibbit-Contwoyto winter road, to a deep-sea port at Grays Bay on Coronation Gulf. The big road and port project “optimizes access to attractive Inuit-owned lands with mineral rights,” said Northey at a symposium session on infrastructure updates. The Grays Bay road would overlap with a road prposeded under the moribund Izok corridor zinc-lead mining project promoted by Chinese-owned MMG Resources Inc., but mothballed since April 2013. The Grays Bay road would also form the first phase of a long-dreamed-about all-weather road between Yellowknife and the Arctic Coast. 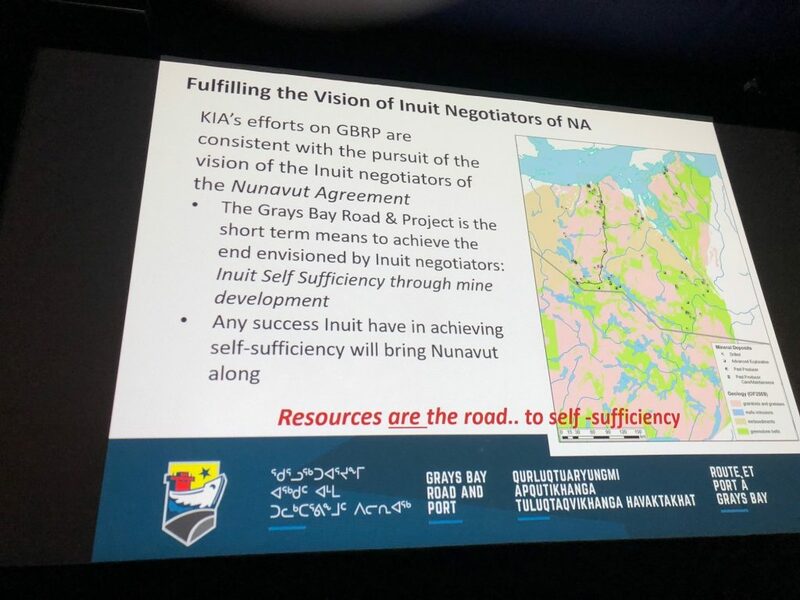 Grays Bay is the most advanced trade corridors project in the North, developed by the KIA to promote responsible economic development, Northey said in his presentation. And Grays Bay has received a new letter of support from the Government of Nunavut, he said. The project promoters had wanted the GN to commit $138 million, but last March the GN decided not to commit any more than the $2 million given in June 2017 to help the project’s development. The new GN letter does not include any commitment of financial support at all, Premier Joe Savikataaq told Nunatsiaq News. But, with the support allocated last November by NTI and other money from unspecified sources, they’re now aiming for the $29 million to restart the environmental review process and get the project “shovel-ready,” according to Northey. 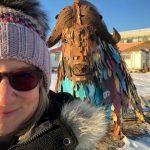 Last spring, the KIA was disappointed to learn that Grays Bay would not receive help under the federal transportation corridors program, which instead spent money on Nunavut airport overhauls. The hope is now that a federal contribution could eventually rise from $135 million to $140 million, so there would only be the balance of the project’s total cost to raise, Northey said. Less than three weeks after the GN withdrew its support last year, the Nunavut Impact Review Board said it was suspending its environmental and socio-economic assessment of the project. But Northey said they now plan to restart that review. To gain more support for the project, the KIA and NRC met last October with the full caucus of the Nunavut legislature. But Grays Bay has not come up since in Nunavut legislature. I don’t understand how NTI can give beneficiary money 7 million for a road and port middle of no where for a big Chinese mining company that will benefit just a few people? How is this possible and who voted for this from NTI? Just a few from KIA have been pushing for this hard, even after the GN and the Feds said its not a project that they can support, cost too much for so little in return. Now the question is why is NTI supporting this? Is it the lack of leadership from NTI to say no? 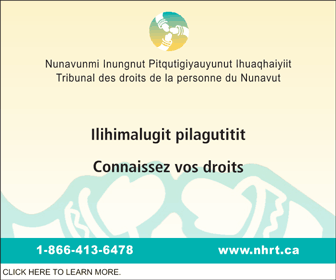 NTI has more pressing needs such as lack of mental health, housing, Inuktut language, education and so on, why is NTI putting in 7 million of beneficiary money towards this mining road and port? Did Baffinland get money for a road and port? Did other mining companies in other region get money from NTI? How about the road from Manitoba to the communities in the Kivalliq? Did they get money from NTI? Something doesn’t smell too good here. The 7 million dollar support from NTI is a loan that was approved by the board at the NTI AGM in October/November of last year before the VP Election. If you don’t like the decisions being made by the elected, get out and vote and pay attention to the AGM Resolutions! 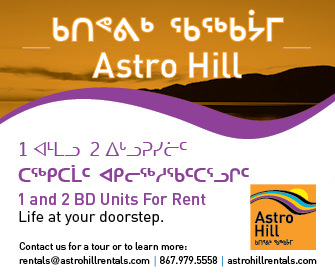 The loan was approved with the agreement that it is taken from the immediate future of Kitikmeot investment. Which from a KIA perspective has potential to kick start mining development in the region and is also a backup plan for when shipping companies try to neglect the Western Nunavut, again… So this isn’t only MMG that benefits from this project, it is all who want to do mining development in the Kitikmeot and also those who choose to overland truck their goods instead of relying on the barge that may or may not come. My only concern is that it doesn’t come with other benefits such as a Fiber Optic link, I understand it is a long way but a guy could dream. Fiber is the game changer in the north and our lives will completely change for the better with it. China Min Metals, essentially the Chinese government, has more than enough money to build this complete road/port project if they want to get the metals out of the ground. The GN has scarce financial resources to support the people and the programs that are vitally needed in the territory. Nunavut can better use the money in a hundred different ways. The record of China Min Metals needs to be scrutinized as well. Look at their record of mining in Africa. I will not detail the charges made against the company here but research into their history in Africa should be enough to show that we don’t want them here in Nunavut. The needs outlined in James’ comment (mental health, housing, Inuktut language, and education) are very important for a healthy community BUT unfortunately, they are not revenue-generating and as such are not self -sustaining and require a lifeline to survive. Similar projects have been started and/or are being sustained in many communities around the world with revenue from mining. And why not NU, NWT, etc? I’m wondering how the mine north of Baker Lake made a road to the mine and an airport, how about the mine in Baffin? How can these mines build roads and ports without NTI and the governments? Why does this area require so much assistance over the other two regions? Why can’t they also get it done without NTI and government assistance? With a healthy society it has shown to be more self sustaining, but to spend over 500 million for a mining company is not right, These giant mines can pay for it instead. This question was dealt with extensively in the presentation, unfortunately Nunatsiaq News breezed over it in its reporting. The Grays Bay road is over twice the length of the Meadowbank one, and a deep water port is part of the overall package – so we’re talking at least three times the costs of Agnico-Eagle’s road. The mine life of Meadowbank was sufficient to finance its road costs. In MMG’s case, it is not, even though Izok Lake is a huge resource. That doesn’t mean we should throw up our hands. Most deposits in Nunavut are uneconomic because of lack of infrastructure. However, the whole idea behind Grays Bay is that many parties can use it, including MMG. Once infrastructure is in place, and especially if you have a corridor from the coast to Yellowknife, then you will see a real transformation. The taxes and royalties generated from the corridors development will pay for the infrastructure costs over time as they have in many other parts of Canada. Not sure what was NTI and KIA thinking! Why can’t KIA and NTI get programs going in the region? KIA should fund 100% youth centres and support an elders facility in each region. Help build an elders and a youth centre in each community BEFORE the crappiest deal of Grays Project..its just going to support Cambridge Bay and Kugluktuk. I’d say invest in building a youth centre in each community of the region and invest in an elders facility in each community and provide funding for individuals to learn how to builid traditional tools and take them home, that is what best interest of the communities. May I suggest these proponents go lobby the Chinese government for the money on the Chinese project. Let’s hope they travel to China to lobby the government there and hope they get locked up like other Canadians so they can come to their senses. These guys can’t even 300k and want to spend my tax dollars, get real and government straight up and say no to this madness. All of the mines in the IZOK corridor are base metal mines which are extremely dependent on the price of those metals on the commodities markets. Even with the road in place there is no guarantee that any of those mines will ever be developed. In addition the mines once opened are subject to rapid closure should prices drop and the extraction costs exceed the potential profits. Gray’s Bay is the epitome of a white elephant, which should be constructed using monies from the mining companies and the development corporation, not the Canadian taxpayer. Except we all know that the mining companies are already aware of the cost-benefit risks and are not in the least bit interested in investing their funds in a white elephant. That is true of any mine. If the price drops below a specific level which would make it unprofitable they will close until hopefully the price goes up again. This is the risk in mining anywhere. Also, base metals are not all that is indicated in this area. There is also kimberlite and gold, etc….. There is a lot of interest in the area and they have only scraped the surface -literally- of what is there. Not sure about gold but the only proven kimberlites are associated with the Jericho property and that has already gone under because it wasn’t profitable. The future of that corridor is base metals and they are neither a profitable nor a secure basis upon which Canada should be taking a $22 million risk building a road to nowhere with taxpayers money. Your information is dated. Taima. KItikmeot Inuit Association how many Inuit you represent are working at the two mines there now? How is it going to improve with the subsidy to the Chinese company? Why the rush to build a mining road? All you are doing is depleting Nunavut resources with minimal benefit. 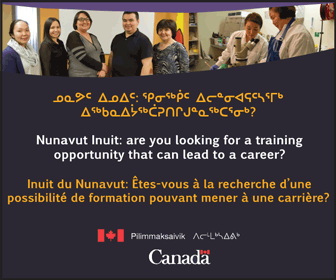 By pacing development you will acquire a local skilled workforce and improve Inuit employment. This project reeks of consultancy fee based greed, instead of actual benefits to our citizens. Very good comment, there is not enough trained and educated locals to take on these mining jobs right now, the resources once taken out it are gone, the Chinese and others will benefit the most and this region besides just a few people will not benefit. First improve and support education, get training available with funding the students properly, build the local capacity up so this region can truly benefit. This project should not go ahead until this happens, the resources will be there until then.